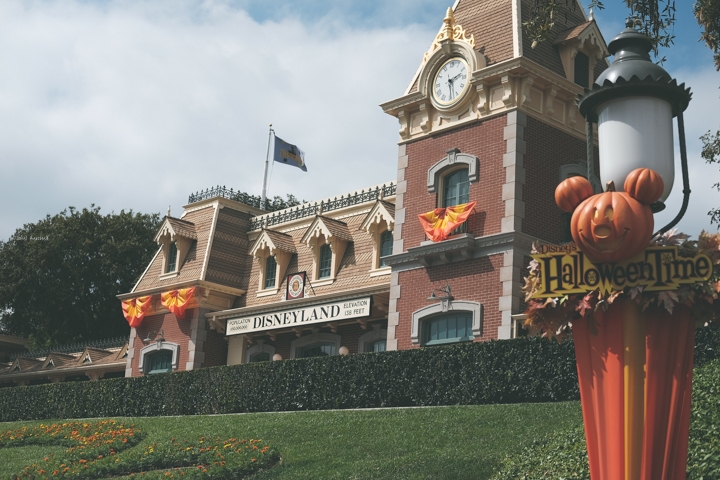 Disneyland & Disney California Adventure Parks in California are all decked out this year for the 2017 Halloween Season. Halloween or Haul-O-Ween (as it is called in Carsland in DCA) runs from September 15 - October 31st, 2017. 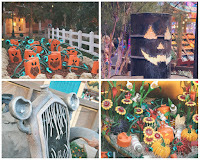 This was the first year that the Halloween decor was in DCA and I knew I had to plan a quick day trip to check it out. 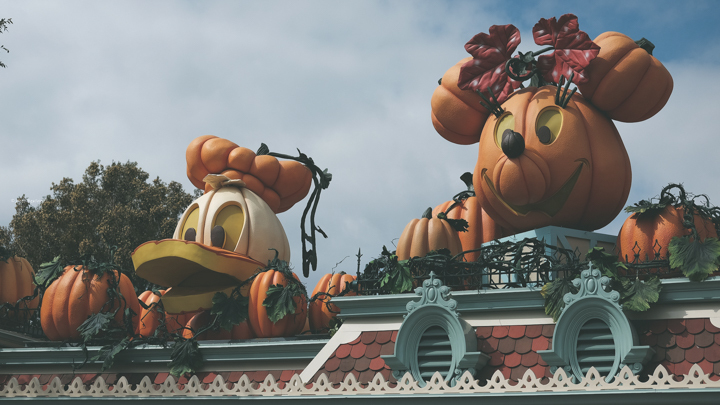 As you walk past security you feel the Halloween magic before you even walk into the Disneyland parks. 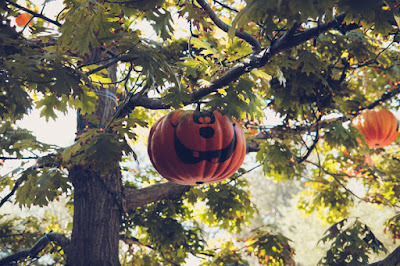 Standing at the entrance to both of the parks you see on the Disneyland side are the classic characters as pumpkins. 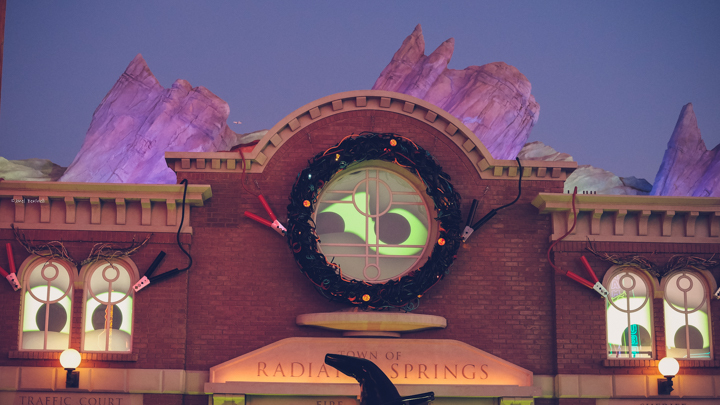 On the Disney California Adventure side is Oogie Boogie with lots of bats. It is even more magical to view at night. Inside Disneyland the theme is definitely fall with lots of orange and pumpkins. 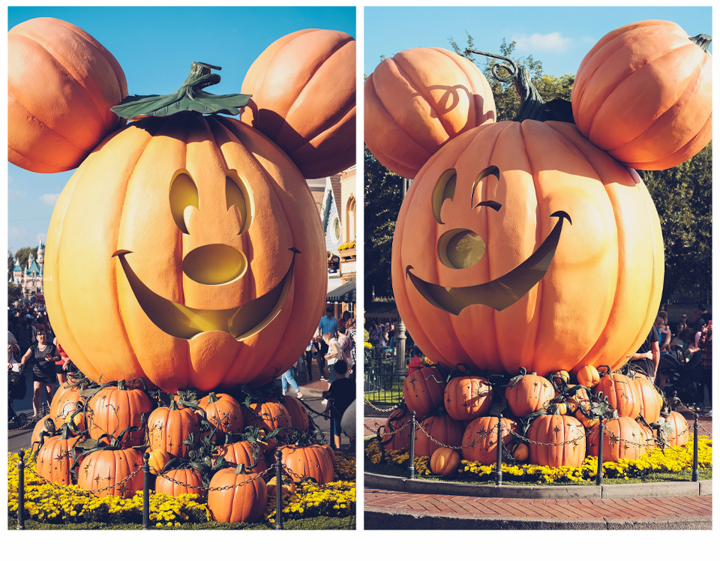 There is a giant Mickey pumpkin greeting you just past the entrance. Get there early you want a picture in front of the giant pumpkin as the line gets long quick. Each side has a different face on the giant pumpkin one side is Mickey is smiling and the other side he is blinking. Walking down Main-street USA banners and pumpkins are all around on the buildings and light poles. 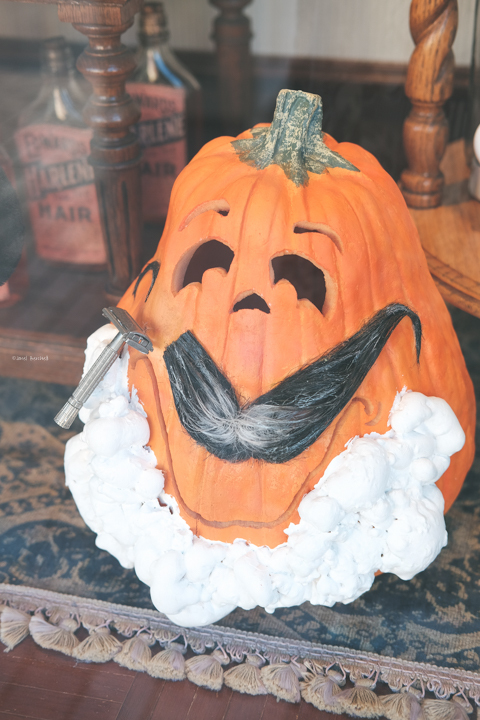 Be sure to look in the windows at the cute & festive displays. Next make your way to New Orleans Square to the Haunted Mansion which you can't miss with Jack Skellington leading the way. 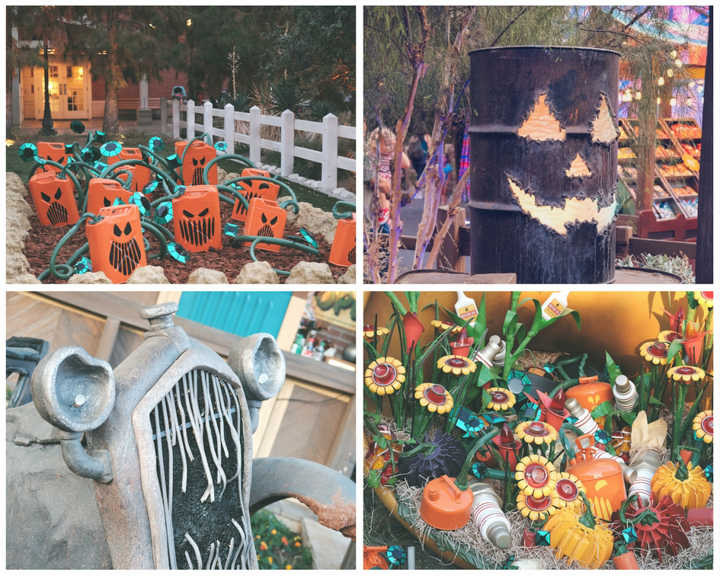 And when you are on the ride keep your eye out for Oogie Boogie and the gingerbread house in the dining hall. 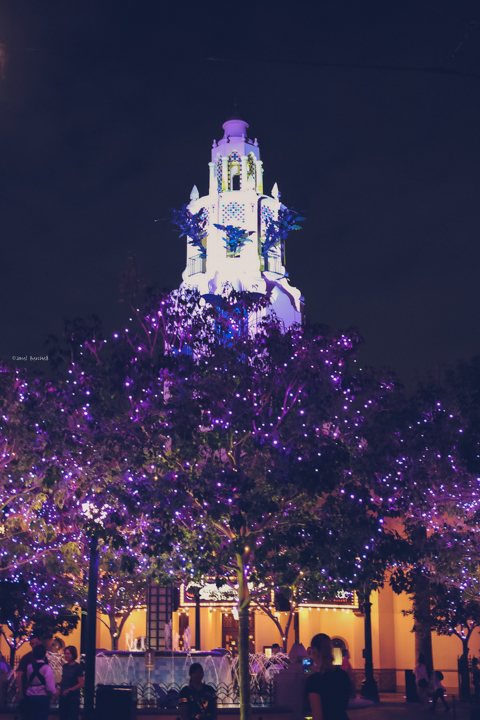 The last festive thing you need to check out is a tree in Frontierland. It is full of hanging pumpkins with funny faces and at night it is lit up with beautiful orange lights. Unfortunately I wasn't able to get back at night to see the tree all lit up. 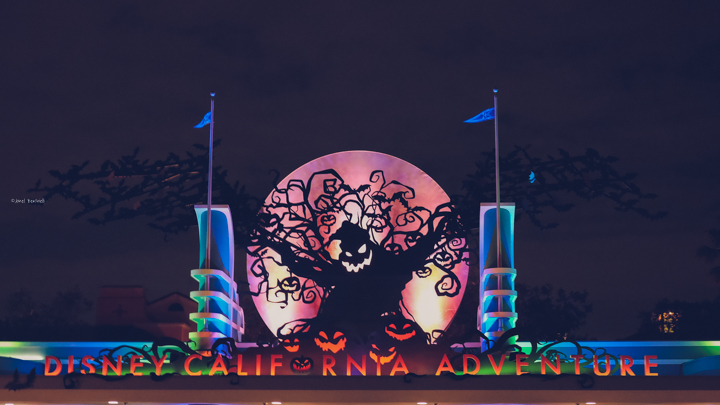 In Disney California Adventure park the theme is more spooky with lots of purple, green and bats inspired by "Time Burton's The Nightmare Before Christmas". Purple banners and bats are along the light poles and buildings. I didn't look in all the windows but the theme definitely continues in many of them as well. 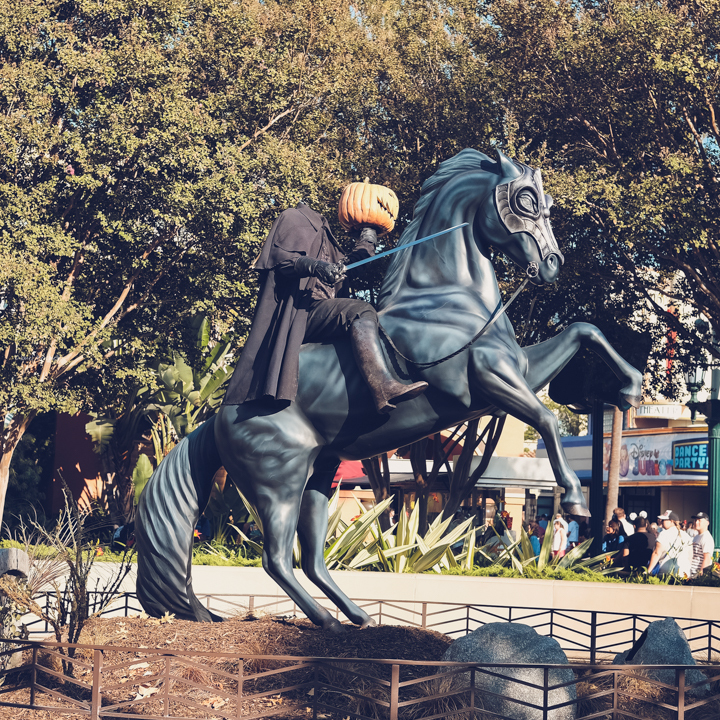 Just past the shops (on Buena Vista Street) you will see the Headless Horseman statue whom at night looks very spooky with smoke and lights. Outside the Carthay Circle Theatre look all the way up in the bell tower at tons of bats that look as though they are flying out. 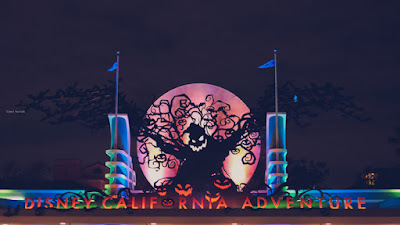 You definitely get a creepy feeling in this area at night with Oogie Boogie whom makes his presence known as he has casted his spell on in DCA. 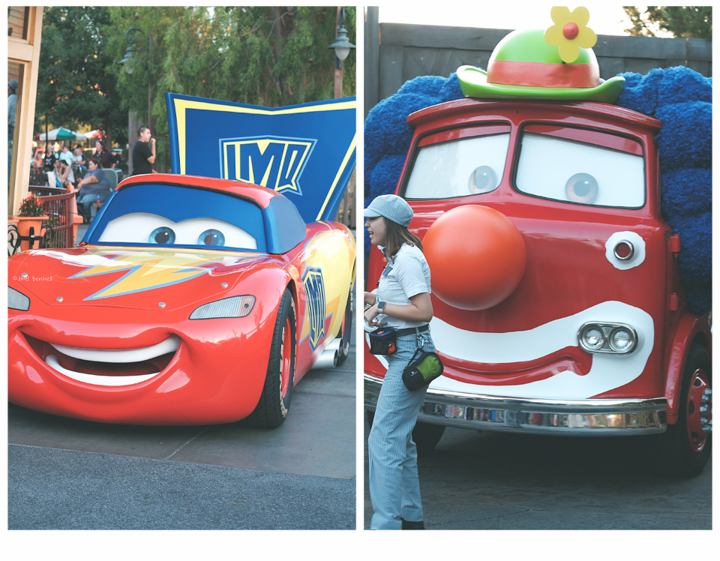 As you make your way through the park be sure to visit Carsland. 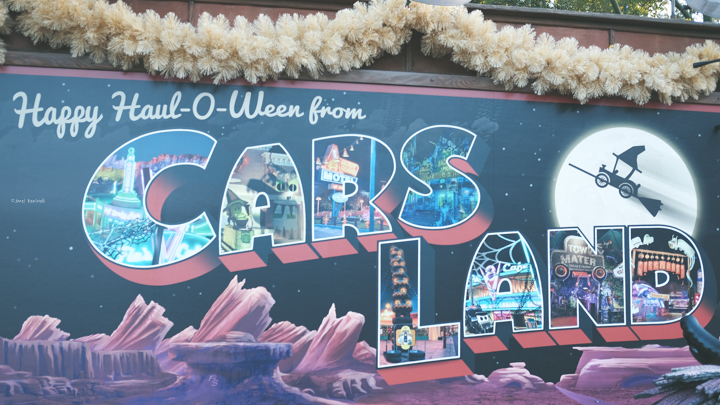 The residents of Radiator Springs are celebrating Haul-O-Ween with spiderwebs, jack-oil-laterns and more. 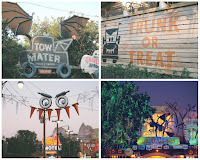 Mater's has transformed from the junkyard to the Mater's graveyard JamBOOree and Luigi’s Rollickin’ Roadsters has become Luigi’s Honkin’ Haul-O-Ween with festive music and decor. 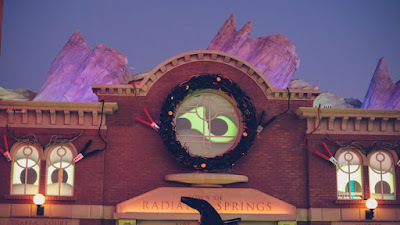 Be on the look out for the Radiator Springs residents in their Haul-O-Ween costumes too. 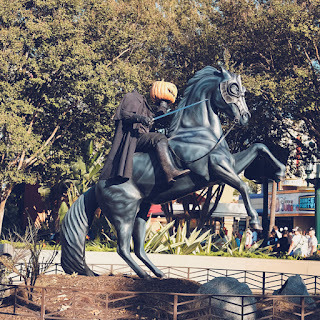 Overall I am pretty impressed with the Halloween Season decor at both parks. 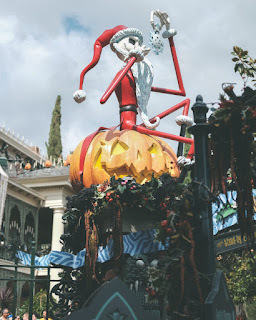 I have to say my favorite decor is over in DCA. 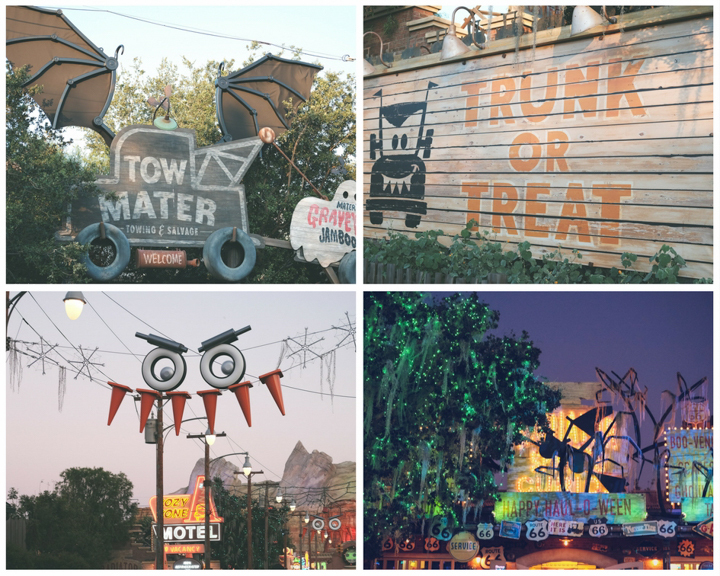 Carsland really makes you smile seeing all the Radiator Springs residents dressed up in fun costumes and Oogie Boogie really makes it feel spooky over near Carthay Circle Theatre/Buena Vista area. 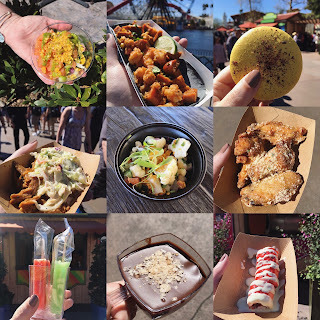 I really hope they continue this new tradition every year in DCA!